BRITAIN'S Got Talent is heading back to screens and it won't be long before we see a new champion. But when exactly is the final? Here's all you need to know... When is the Britain's Got Talent 2019 final on TV? The BGT final date hasn't been confirmed just yet. For the past few years, the show has run for eight weeks and ends on the Saturday or Sunday after semi-final week. So this year, that means the final could fall on May 25/26. The new series kicks off THIS SATURDAY (April 6). What is the prize money for Britain's Got Talent in 2019? The winners of Britain's Got Talent will perform in front of the Royal Family at the Royal Variety Performance. For the past five years, the winner has also won a prize fund of £250,000. It has not been confirmed whether or not that will be the same in the 2019 show. Who won Britain's Got Talent last year? Lost Voice Guy was crowned the winner of Britain’s Got Talent 2018 after wowing fans with his comedy routines. He beat … [Read more...] about When is the Britain’s Got Talent 2019 final? What did Britain’s Got Talent 2018 winner Lost Voice Guy get and who won the competition in 2017? BRITAIN'S Got Talent is returning for another year, and with it comes a brand new batch of hopefuls. But what did last year's winner Lee Ridley aka Lost Voice Guy? And who took home the crown in 2017? Here's the lowdown. 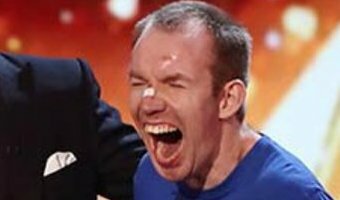 What did Lost Voice Guy Lee Ridley get for winning Britain's Got Talent in 2018? 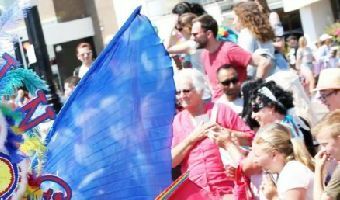 There were a number of prizes on offer for triumphing on Britain's Got Talent. Winners have always received a cash prize which has varied in amounts since the show launched back in 2007. Initially the prize was £100,000 but that went up to a cool £500k in 2012. But, sadly for Lee the prize pot went down in 2018 to "only" £250,000 - still not bad though. As well as a tidy bit of cash, Lee was also given the honour of performing at the annual Royal Variety Performance. While it was traditionally attended by Her Majesty the Queen, she has not made it to a show since 2012. In 2018 Prince Harry and Meghan Markle were in attendance. SPEECHLESS COMEDY Meet Lost Voice Guy, the … [Read more...] about What did Britain’s Got Talent 2018 winner Lost Voice Guy get and who won the competition in 2017? Who is Alesha Dixon and who’s The Britain’s Got Talent judge’s boyfriend Azuka? ALESHA Dixon rose to fame in a chart-topping girl group and has been a judge on one of the nation's biggest TV shows. She even been the host of the BBC's The Greatest Dancer series. Here's the story of her career so far. Who is Alesha Dixon? Alesha Dixon, 40, is an English singer, dancer, rapper, model and television presenter. She is best known today as a TV talent show judge, having presided over Strictly Come Dancing and now Britain’s Got Talent. Alesha got her start in showbiz through her music career however, first in girl band Mis-Teeq and then as a solo artist. She is also a successful entrepreneur with her own clothing line, and is looking to expand her brand even further as an actress and author. She has six half-siblings - two half-brothers, and on her father's side, and three half-brothers and a half-sister, on her mother's side. In 2017 her half-brother John Lonergan was severely injured in a car accident that killed his best friend. In April 2018 she … [Read more...] about Who is Alesha Dixon and who’s The Britain’s Got Talent judge’s boyfriend Azuka?